Hi! This is Eve Mayberger with another update on the Ancient Panel Painting: Examination, Analysis, and Research (APPEAR) project (see earlier posts here and here). 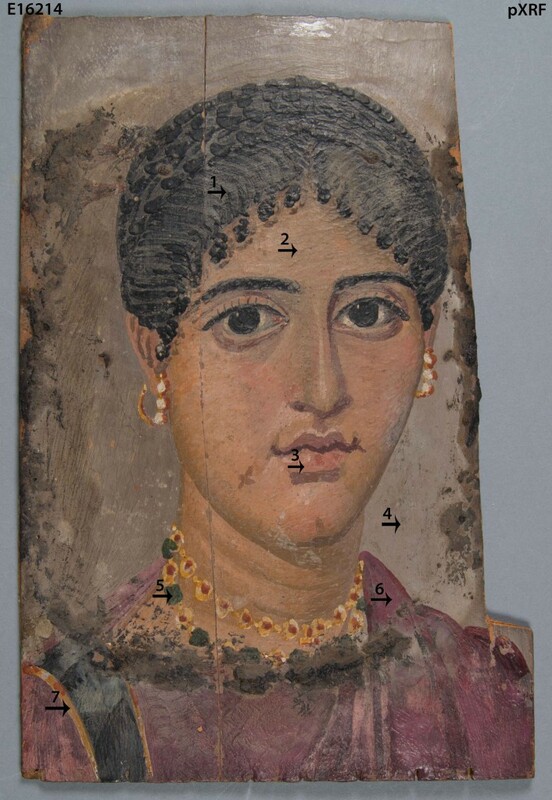 I recently investigated the pigments used on the three Fayum mummy portraits with the portable x-ray fluorescence (pXRF). While the pXRF results for all three portraits are interesting, I am going to briefly discuss the findings for the Portrait of a Woman (E16214). One of the major advantages of pXRF is that it is a non-destructive technique that uses x-rays to identify specific elements. The technique can help to characterize pigments and metal alloy components. It is important to remember that pXRF is a surface technique and will only detect elements present on the surface. I decided to analyze the seven different colors used on the mummy portrait to determine if there are any elemental differences. 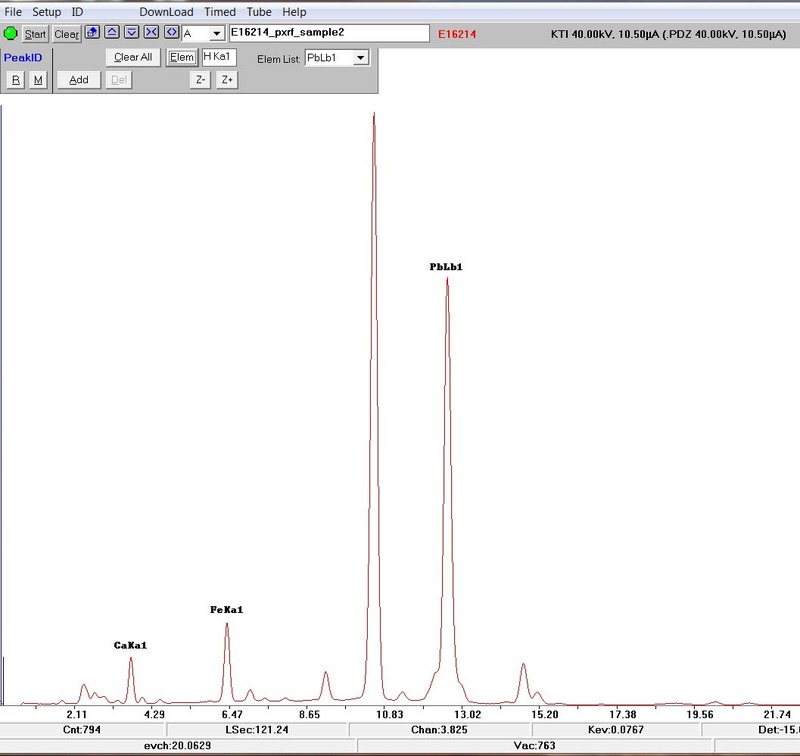 All the test locations recorded prominent peaks for calcium (Ca), iron (Fe), and lead (Pb). Although there is some variation in peak heights across the test spots, it is important to remember that pXRF is a qualitative not a quantitative technique. See below for a representative spectrum for six out of the seven analyzed locations. The green used to paint the gemstones on the woman’s necklace has an additional peak for copper (Cu). This is not surprising as many greens have a copper component. In ancient Egypt, the greens were generally made with malachite or green earths, or from a mixture of blue and yellow pigments. While malachite is a copper-based compound, more analysis is needed to confidently identify the green pigment used for the gemstones. It should be noted that not all pigments can be identified with pXRF alone. 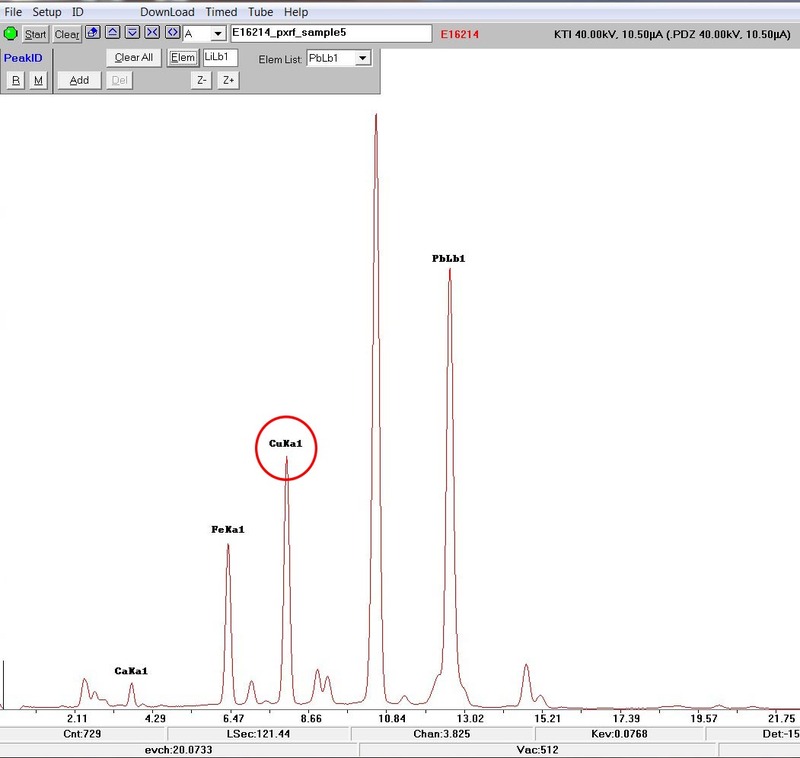 Some organic pigments, such as madder, cannot be detected with pXRF. In addition to using analytical instrumentation, it is also important to know what colorants are expected on specific artifacts to help limit the number of possible pigments. Be sure to visit the blog in the upcoming weeks to read more about the APPEAR project! 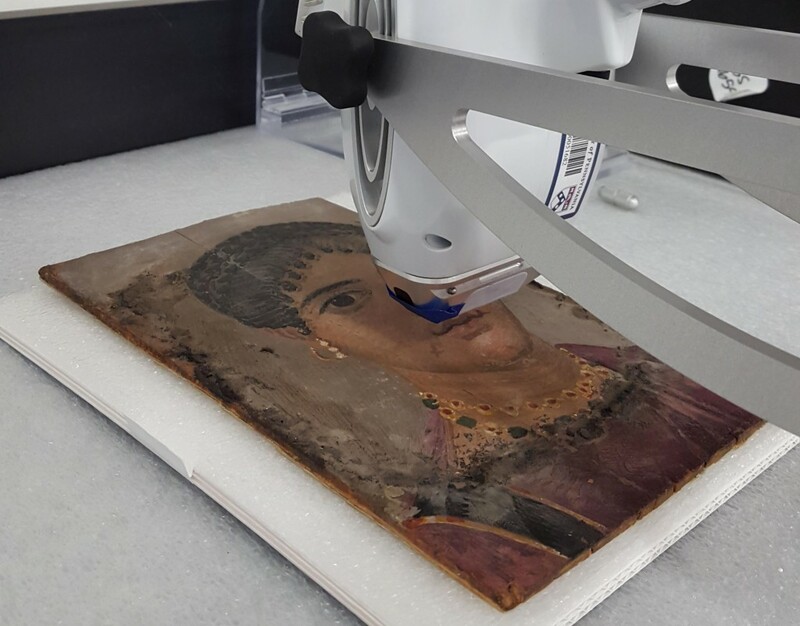 This entry was posted in analysis, Objects In the Artifact Lab, Uncategorized and tagged APPEAR Project, Encaustic painting, Fayum mummy portraits, pXRF by mollygleeson. Bookmark the permalink.